Safari Magic. 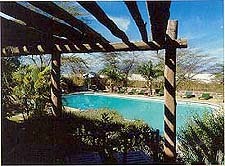 Independent Lodges in Kenya and Tanzania, East Africa. 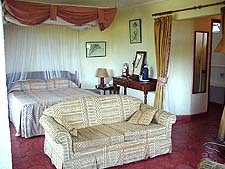 Keekorok Lodge lies at the southern end of the Masai Mara and right in the path of the annual migration of wildebeest and zebra. There's always plenty of activity around the waterhole but during the migration, the lodge is enveloped by the swarming mass of animals. One need hardly venture from the ground to game view. 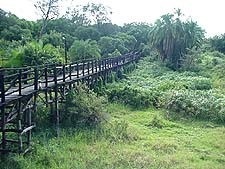 From the Kiboko Bar at the end of the raised 300 m. walkway, there is plenty to see. 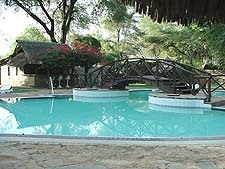 Accommodation at Keekorok is in bungalows, single story blocks and in comfortable shaded chalets. The liberal use of cedar wood, pink and gray Sand River stone and other indigenous building materials offset the green lawns and colorful bougainvillea. After a day in the fresh air, the excitement of game spotting and a refreshing dip in the swimming pool, the ritual of sundowners by the roaring log fire in the lounge, heralds an evening full of traditional Masai dancing, cultural and wildlife lectures and videos and yet another of those remarkable Keekorok dinners. 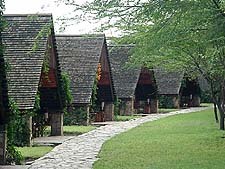 Situated in the south east ecological niche of the Lake Nakuru National Park is the Lake Nakuru Lodge, an oasis of comfort and excellent service. 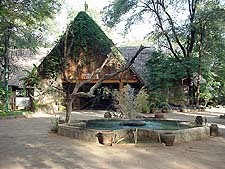 The lodge blends well with its surroundings and the animals often browse peacefully close to the lodge and environs, much to the fascination of the visitors. 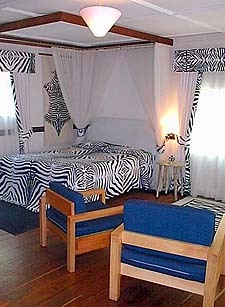 There is accommodation for 176 people, either in superior or family rooms, cottages, or suites. 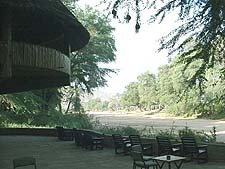 There is excellent cuisine which includes ample dishes to please every appetite, plus Bush Barbecues, African nights and Sundowner cocktails. 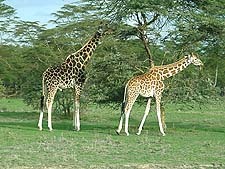 Activities available include horse-back safari excursions, bird watching and plant identification. After a day's game watching, the spacious, logged Mama Nikki Bar and the cool, Upstairs Rhino Paddock Cocktail Bar, overlooking the Lake and the enticing blue swimming pool can be particularly inviting. Evening entertainment and slide shows for guests are interesting and varied. Situated in the heart of Kenya’s Rift Valley is Sarova Lion Hill Lodge, nestling on the banks of one of East Africa’s most famous soda lakes, Lake Nakuru. Beautifully landscaped grounds feature natural foliage and a startling variety of flower gardens. 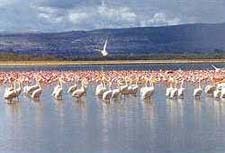 Avid bird watchers can feast on the spectacular display of its famous flamingo residents. 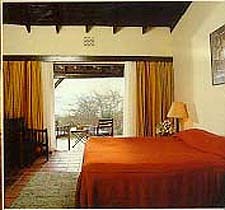 From the comfort of one of the junior suites, equipped with separate bedroom and lounge and with ensuite facilities, Sarova Lion Hill Lodge offers a unique vantage point overlooking the lake and the distant hills. A guest can enjoy the panorama from the privacy of his own verandah. Dine sumptuously in the Flamingo Restaurant on a delicious blend of local and international cuisines to satisfy every taste. Relax away the stresses of the outside world with a refreshing swim, followed by a soothing sauna. Relax on open terrace with a drink from the Rift Valley Bar as the sunset puts on a spectacular show. Exotic drum beats and fascinating native dancing entertain guests at night with a traditional cultural presentation.